If you would like to report any sighting in the TDFC area, or wherever our TDFC members would find interesting, please use the ‘Reply’ comment box below to let all our members know about it. Enter as much description as you can, along with the date, location, weather, and any relevant details, and of course who you are. We would always wish to see photos so send these separately to Phil. B. use @ for ‘at’. After we receive your entry it will be placed into a more visible position on the TDFC site, and any photos will be added. If your observation can be connected to related organisations, academic or field studies or relevant web sites, please include these so we can let everyone know by a web site link. AND! Donot forget to take photos and send them to me at the above address. HERE is a page about photos. Thank you to all members who submit their observations, these will be appreciated by all of us. Susan picked up these pieces of what I take to be a cartilaginous skeleton on Shandwick beach on Friday. If they are from a fish I think it must have been fairly large! I am already calling it the Shandwick Shark; am I right? See more in our TDFC website HERE. 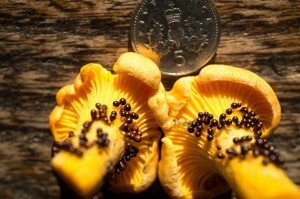 EDIT 30/08/2014: There are responses which indicate the black blob objects on the mushroom are a slime mold; iSpot likely belonging to the group Myxomycetes or plasmodial slime molds, possibly Leocarpus fragilis (1), (2), and elsewhere, astonishingly similar to Leocarpus, Trichia decipiens. Leusistic Siskin, seen at Edderton. 01/08/14 In Morrison’s car park in Alness a pied wagtail disappeared through a radiator grill. A few minutes later it emerged with a beak full of insects blitzed by the radiator itself. That’s what I call optimal foraging!! On a sadder note a pine marten in our garden has waited until some pied wagtail nestlings became much bigger and afforded a better meal. It had been checking out the nest in the bay beside our patio doors. 11 April, 2014 – A fall of Redwing began hanging about, probably waiting for the north wind to change. On the 13th half of the flock perched for a few minutes rest, posing against the hazy sunlight for a portrait. 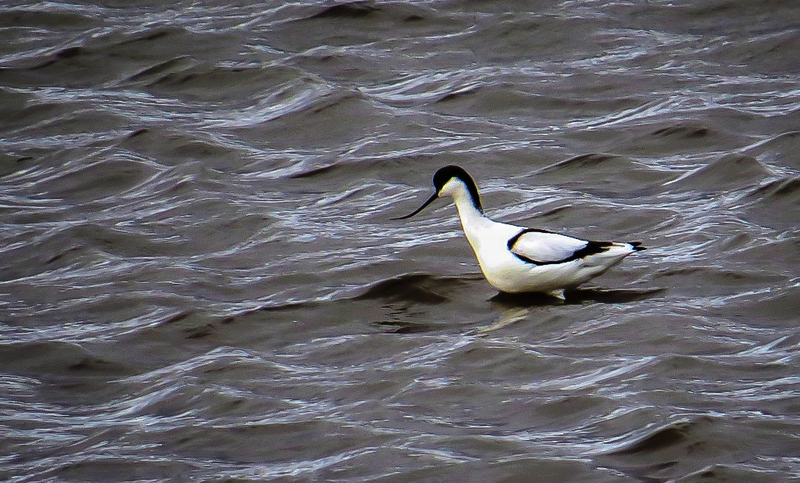 Avocet on the tide-line at Tain Sewage Works this afternoon. Pictures on the TDFC Facebook page. The Aspens in my garden have catkins on. I’m not sure if they are native ones as I think that they were planted about 23 years ago. I don’t recall them having catkins in the past. When Aspen catkins have been seen and reported in the past it was in May. I guess we should be out there looking for catkins from now on. Immature White-tailed Eagle flew west over Edderton Today at 1315 last seen towards Struie Hill. First pair of swallows seen at Oldtown, Ardgay on 27th April,2013. Watching for where they nest. 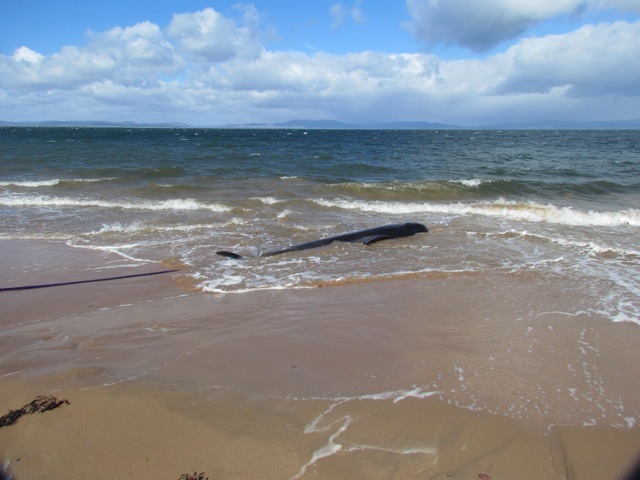 Three long-finned pilot whales (Gloicephala melas) stranded at the SW end of Portmahomack early this morning. 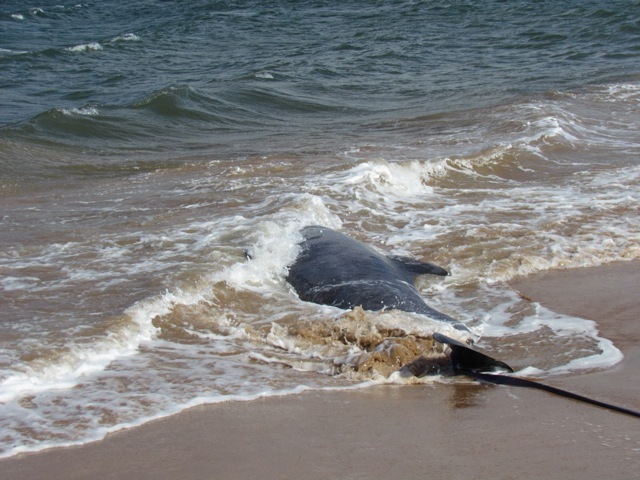 The Coast Guard, British Divers Marine Life Rescue, Scottish Stranding & a group of locals managed to get two of the whales back to sea but regrettably the third died. Our peninsula visit today yielded these passage migrants: roller (lots), golden oriole (male & female), red footed falcon (male & female, lots) and cuckoo maybe on its way to you……! Ten points for guessing which peninsula. 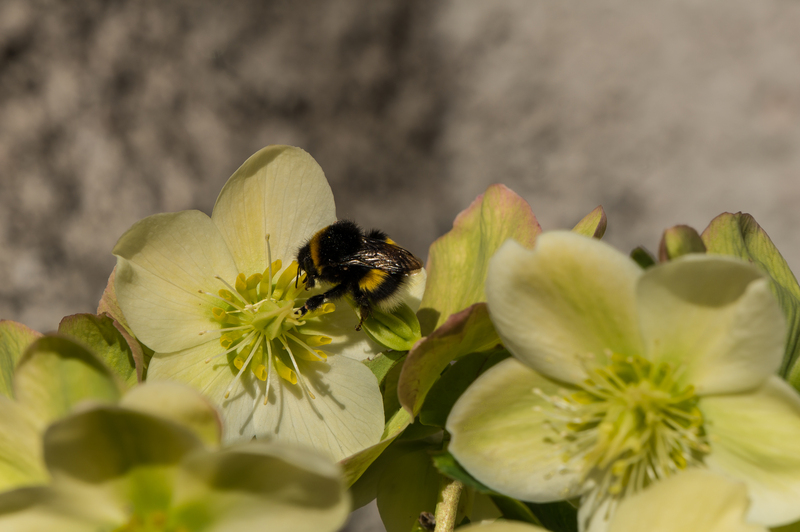 Spring must be here at last. Sandwich terns at Tarbatness on 16th and swallows in Tain on Thursday (18th). However the odd spring continues: on Thursday (18th) we had 52 birds of 13 species at the feeders in our garden. 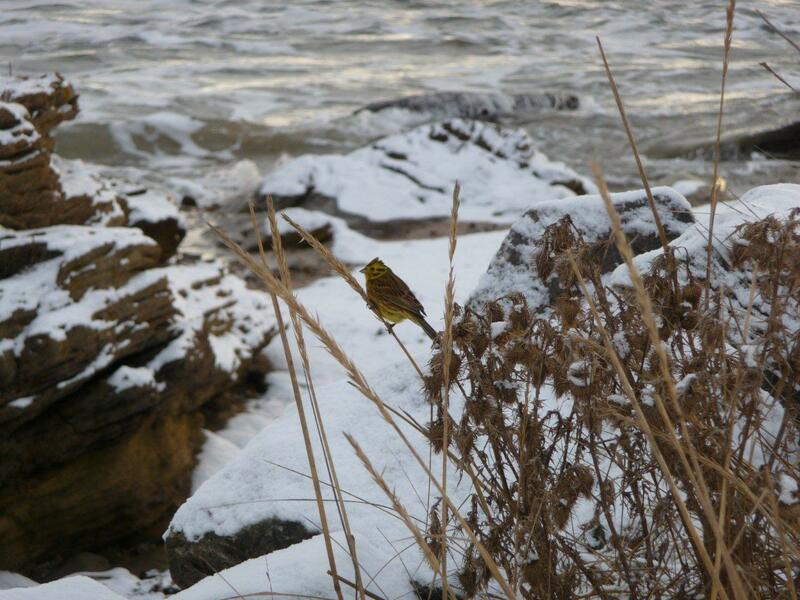 The greatest numbers were siskins (12) and chaffinch (16) the sort of number we expect in cold winter weather. The real surprise was two redpolls on the nyger seed feeder. One redpoll had appeared on the feeder on Wednesday but this is a species which doesn’t normally appear in gardens let alone actually go onto feeders. It seems to be a very strange spring. Local ospreys are back in nesting areas and lots of birds are singing but several “winter birds” are still with us. There have been several gardens in Tain with up to 20 waxwings visiting eating berries and apples put out on the lawn. Yesterday we had a flock of 20 chaffinches in the garden plus 1 brambling, a species we normally only see in the garden in mid-winter. Having been away for 10 days Heather & I had not been on our usual dog walks on Nigg Beach. While away we heard of the auk wreck in the North Sea where most of the reports concentrated on puffins. None of the birds had rings. I returned today and found 1 fulmar but no new auks or gulls. A Green Sandpiper yesterday at Dornoch beach, by the stream. Unforutanetly it flew off high north. Thanks Susan. My inexpert view is that these flocks move about quite a bit, following the berries, and we are lucky when we see them. 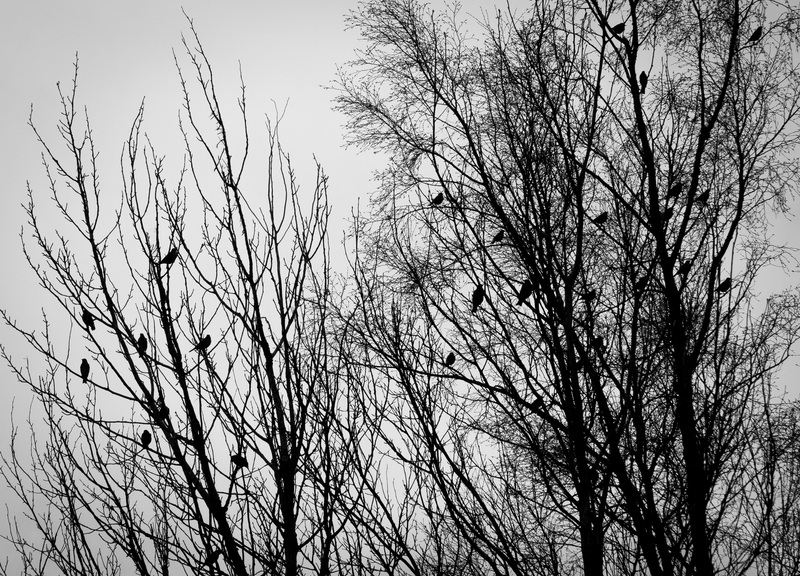 Yesterday 06/01/2013, Waxwings x6 were seen at the East end of Shandwick Bay, Balintore, flying & perching on the stubby trees/bushes. They looked as though they could have been catching insects. Is this possible? We also had waxwings x4 in our garden at Fearn on 17/12/2013, but they didn’t stay long. Glad to see the otters are keeping an eye on the damage. I was wondering about them in the storm. I don’t know what they do in circumstances like that when all their coastal lying up places are flooded. I presume they move up into streams until the storm has passed. Otters are very fond of crustaceans and in the Summer Isles crab shells form a major part of the debris at feeding sites. I have seen similar otter middens with lots of crab shells elsewhere on the west coast and in Shetland. 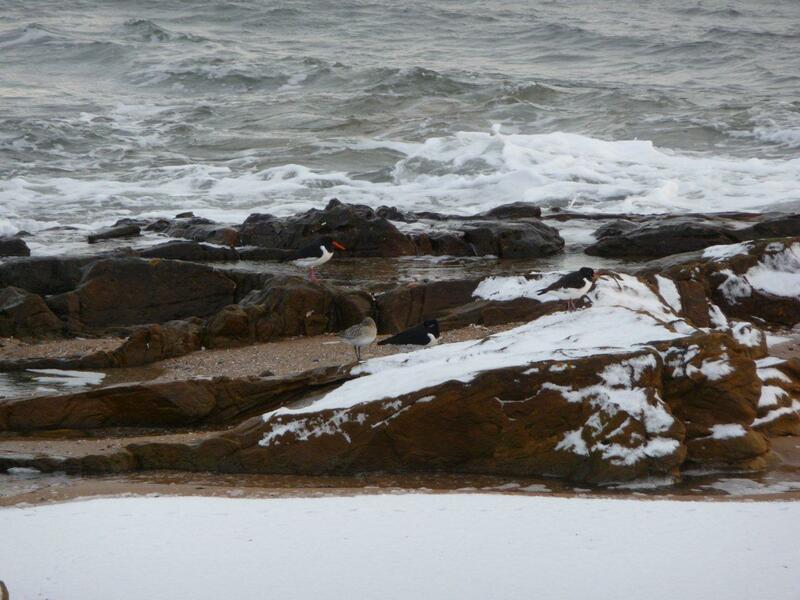 I would think it is quite likely that the Balintore otters had lobster for Christmas dinner! Otter seen 25/12/12 noon Balintore harbour.Seen swimming in harbour then running up steps by damaged sea wall inspecting damage then back into harbour for tour round pontoons then disappeared towards harbour entry. Lobster tails found on beach near harbour could have been left by otter? On average there have been fewer then 600 “singing” males recorded in the present atlas project. For those who don’t know its distinctive song you can find it at http://www.rspb.org.uk/wildlife/birdguide/name/q/quail/index.aspx by pressing the “listen” button at the top left. Pleased to have finally identified a call heard most late evenings recently around Dalnavie area of Ardross as Quail – first heard on 26th June. I’m confident I would have noticed it previous years if it had been around as it’s such a distinctive sound “wet my lips, wet my lips” and am wondering therefore whether it’s unusual in this area? David and Russell say these, while rare, are not unknown in the Highlands but they usually move on within a few days. 20th April 2011, First Cuckoo. 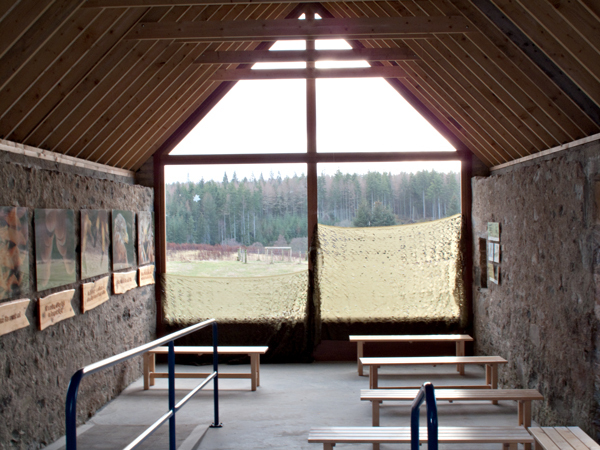 Heard at Amat, Glen Calvie and Ardgay by Fay, Marion, Sadie, Jane & Phil. First swallow in Ardgay was on the 9th – two seen, now up to six. The first swallow up here this year for me was yesterday 18th April also the first willow warbler. I had seen a swallow in England on the 2nd. I had an osprey flying over the goose flock on the north side of the Dornoch Bridge this morning. The bridge is generally a good place to see ospreys fishing. Peacock butterflies by Ardgay. 2 seen, one near Badvoon in heather moor (NH 592 893), one in grass & reeds (NH 596 896). The temperature rose to 17°C at the time of seeing these, not bright sun, occasional light showers. 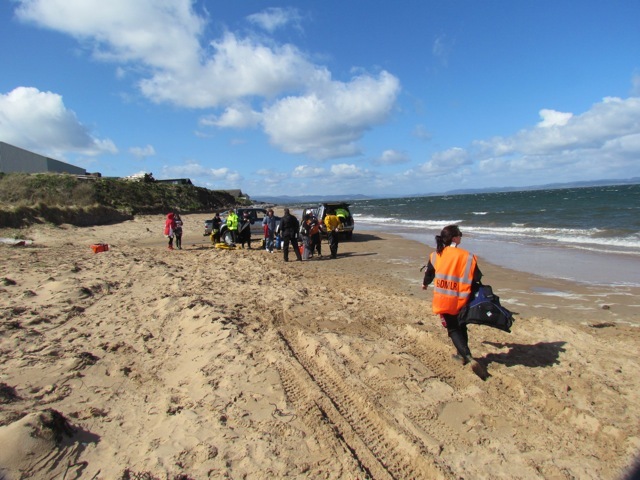 Frank van Duivenbode and colleagues saw two 7-spotted ladybirds today in sunshine while working on Novar Estate, possibly disturbed by contract work on removal of gorse. 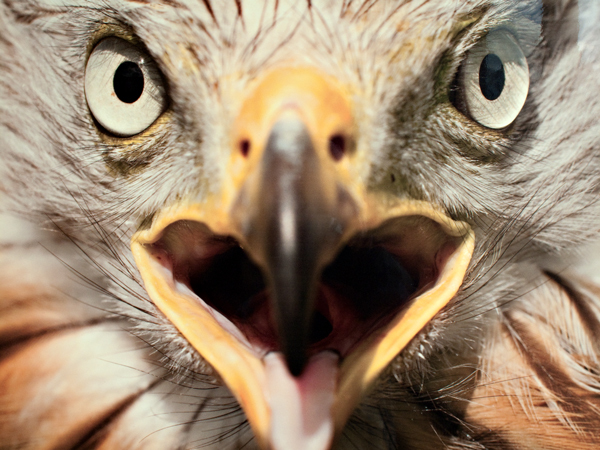 Anyone who has not seen Red Kites relatively closely may consider visiting the installation recently opened by the RSPB. Food for the birds is laid out every day at about 13:30. Follow the large signboard found at NH 522 587 on 1:50,000 sheet 26. That’s just south of Loch Ussie, south of Dingwall. Interesting yellowhammer Fay. He appears to be well into his summer plumage already. 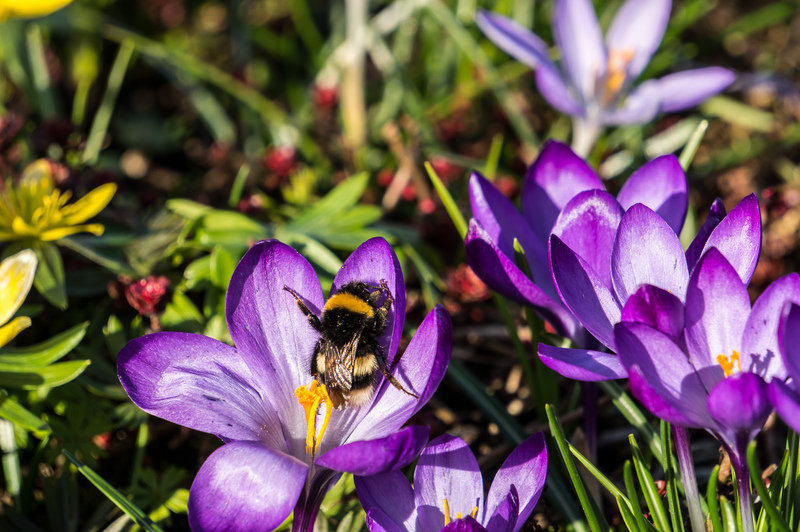 Spring is on its way! Hi Folks – Grasshopper Warbler in residence at Inchindown* this summer. Tony and I have not only heard it several times recently but seen it a few times too. If you hear it, you may well be lucky enough to see it as it seems to stick around the scrubby areas either side of the path, beyond the tall trees, approx 100m from the car parking area. My sense of distance is not to be taken too literally – but trust me, if he is singing you’ll know you’re in the right place! *Forestry “walkers welcome” path off the road between Scotsburn and Ardross. OS: NH 684 738 Happy Birding, Sheena. Enter, as either UPPER or lower case, the characters in the security image; type and submit your comment. The circling arrows will refresh/renew the characters.